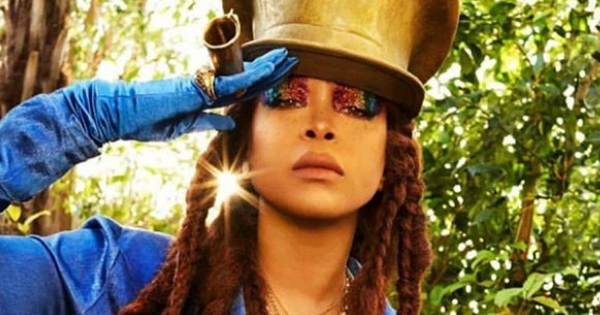 Part of the 1990's neo-soul subgenre, singer-songwriter Erykah Badu has been an actress, producer and activist. Here’s ten things she’s been up to the past twenty years! #2: In 2000, her single “Bag Lady” spent seven weeks on the top of the R&B charts and received a Grammy Award nomination. #3: Working with kids affected by poverty and AIDS, she traveled to Africa in February 2003 through her B.L.I.N.D. foundation. #4: Jill Scott, Queen Latifah, and Erykah founded the Sugar Water Festival in 2005 to bring awareness to African-American women’s health issues. #5: Making her debut as the face of Tom Ford’s White Patchouli fragrance in 2008, Erykah moved into the world of fashion. #6: Filming her song “Window Seat” in March 2010 at the site of the John F. Kennedy assassination in Dallas, she sparked a controversy. #7: She’s been featured on a variety of other artist’s albums including Rocketjuice and The Moon, Flying Lotus, The Creator and Janelle Monáe. #8: At the 2000 Black Reel Awards, she won for best supporting actress in 1999’s The Cider House Rules. #9: Her Malaysian concert in February 2012 was canceled due to an Allah temporary tattoo found on her person. #10: Recently she’s had controversy over her perceived support of Bill Cosby and R. Kelly.